Did you know that you can help to preserve FREE live concerts for Palouse audiences? Your donation of $1200 will defray production costs of one concert. You can choose to sponsor one of our three annual concerts: our Veteran’s Day Concert, our Holiday Concert, or our Family Concert, which includes the Instrument Petting Zoo. Help us to continue to share the community band tradition on the Palouse! 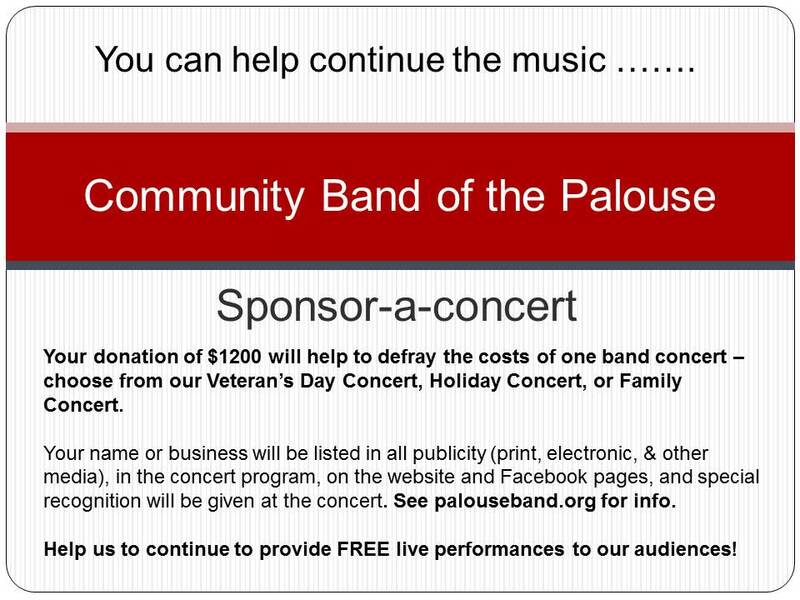 Contact us by email: palouseband@gmail.com to learn more about sponsorship opportunities.